Two separate investigations have been launched by gardaí and the Health and Safety Authority. The Hynes Buillding on St Augustine Street. 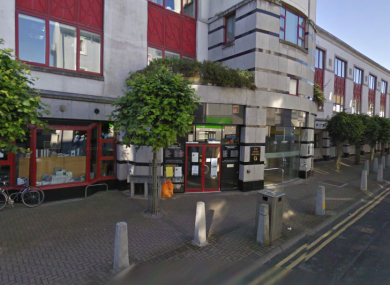 A POST-MORTEM is expected to take place today on the body of a three-year-old boy who died after becoming stuck in the lift shaft of a building in Galway city yesterday afternoon. It is understood that the boy was at the local social welfare office, located in the building on St Augustine Street, with his parents when the incident occurred. Emergency services were called to the incident yesterday afternoon but the child was pronounced dead at the scene. Two investigations have been launched – one by the Health and Safety Authority and another by gardaí on behalf of the coroner. Gardaí have ruled out any foulplay in the incident. Email “Post-mortem due after tragic three-year-old death in lift shaft”. Feedback on “Post-mortem due after tragic three-year-old death in lift shaft”.